Hi, there! I bet most of you reading my blog are lounging at home with a cup of kopi, enjoying late mornings & the blissful mid-term/Raya holidays. As much as I wish I could do the same, I don't have that luxury this time around. I spent the first 3 days of my holidays at school taking care of the PMR & SPM students who stayed back during the holidays. 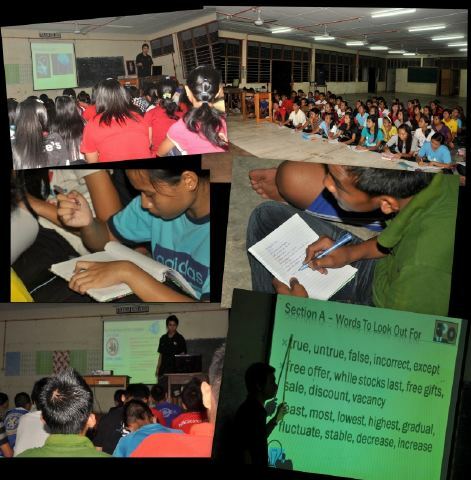 I also gave every PMR student a 3 part talk over 3 nights on best practises for the English Language PMR papers. I started this last year because I realised that, even after 3 years of study, many students still were not able to meet their potentials in BI PMR. For many of them it was a struggle just to pass. For too many of them, they could pass the other subjects but not BI. Thus, failing PMR. The students would usually stay back during the mid-term holidays in the second semester to study so I took advantage of this & last year I held a captive audience for 4 nights in a row. I shared with them the requirements for each section of the exam & how they can score more. I also gave them tips on what to prepare as well as highlighting the common mistakes they made. It was a struggle to control them in a big group & I used several iron-fist methods because I was pressed for time & could not tolerate any bullsheet. I persisted & was able to give them as much as I could about every section of the exam. In the end, many students told me that they benefited from it. It also showed in the results. Last year, 75+% passed BI PMR (sorry, I can't remember the exact figure). 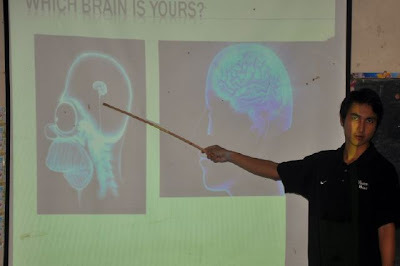 Which resulted in 72% passing PMR (passing every subject). Of course, I dare not say that my talks alone helped them. It was the cumulative effort of the English Panel & the whole school in brewing excellence. However, I could not ask for better motivation to do it again. This year, I did it with some improvements & especially updates on the common mistakes by the new cohort. I was able to command the students by first enlightening them about their brains. Then, praying for them before each talk. At the end of my last session, I blessed them & prayed for their success. Prayer works even though they may not understand the language it was made in. I kept things interesting by relating things to them, telling them jokes & poking fun at several of them. If you have a big group of students who are borderline cases, I suggest you do a talk of your own for them. Try to keep things light & interesting. Use video or maybe music to motivate them. hahaha~~ I don't actually practise that. I do not have the luxury of time so I go straight to the point with some entertaining deviations once in a while. I'm an iron-fist teacher because I know my stuff & I'm going to stuff it into your head whether you like it or not. If I'm at a school where students are harder to control or have low motivation, I might put more effort into the packaging. As it is, my style works with my students. You may have a different style based on your teaching context. ...and... NO, I will NOT share my PowerPoint slides. I'm sorry. I'm going to be selfish here because I put in a lot of effort into compiling it. It's nothing ground breaking or miraculous. Just common sense & a lot of heart. You can make your own which may be even BETTER than mine. Look into the many reference books in the market. They'll help you compile yours. Remember to tailor it towards the unique weaknesses & needs of your students. The more you use your brain, the more brain you'll have to use. p/s: I have a brother who is taking PMR as well this year. It's sad that I'm doing so much for these children in the jungle but nothing for my own brother. Its times like these you hate working so far away from home.